Lenovo introduced its X1 Yoga 2017 laptop in early 2017 - and the hybrid tablet / laptop has a 14" 2560 x 1440 display - either an LCD or an OLED. 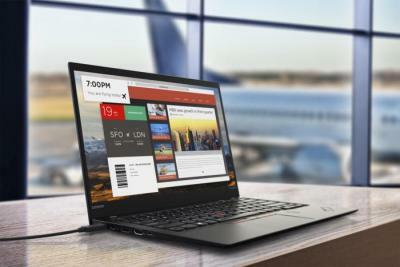 The X1 Yoga 2017 is now shipping - and the OLED version with a 256GB SSD, 8GB of RAM and an intel Core i7 CPU costs $2349. It’s strange/confusing that the new X1 Yoga 2017 has the same model number 20FQ005XUS as the first-generation X1 Yoga according to Amazon. Who's making these OLED panels? Not sure it's LG. As they seem to only be invested and Ming large wrgb tv panels. Surprised OLED hasn't become more prevalent in monitors yet. Dell is now shipping the OLED Alienware m15 gaming laptop - the first 2019 OLED laptop!